I spent a good two hours with her one on one in a private interview a week after classes ended. We talked about her abilities and talents, her ideas and plans to help and all the folks in her business circle she knows that she can enlist to help too. So, what could possibly be wrong with this perfect volunteer? Did you guess she’s moving? Nope. Did you guess she’s really crazy? Nope again. Although we spent time talking about all those wonderful things, we spent 90% of the time talking about her husband’s illness and death. He died four years ago and to our credit, we took wonderful care of him. Judy passionately talked about losing a husband so early in life, the shock, the quickness of the rare disease, the legal issues surrounding a business and a lone position in life with friends encouraging “getting back in the dating game.” She had already started a support group on Facebook, has reached out to the community for research funds and would love to be able to help other young widows. Her ideas are lofty, her desire to help of the highest noble thoughts. Her energy is infectious and I wanted to reach into my drawer and pull out my checkbook. Our conversation reminded me of John Walsh, the host of the TV show, “America’s Most Wanted.” Mr. Walsh began his crusade after his son, Adam was brutally murdered. It’s what experts call instrumental grieving, the throwing of oneself into a cause. It’s truly amazing to watch someone do that, to see their resolve, to feel their calling. These people are remarkable. They turn despair and tragedy into benefits for the rest of us. I know if my husband were to fall ill to that disease that took Judy’s husband, I would want her coaching me. But, I cannot, in good conscience, put Judy with patients, family members or the bereaved. It matters not that she really, really, really wants to help. It matters not that she is full of passion and energy. But it does matter that in the three times we’ve talked, everything always comes back to her experience. I’ve witnessed raw, unrelenting grief before. I’ve seen potential volunteers so fired up that they speak in a machine gun volley that shoots down every thought that does not apply to their situation. 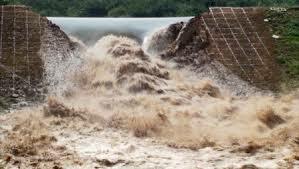 I’ve watched eager people grasp onto volunteering like a life-preserver in a sea of molten pain. I feel for them, because, just like every other volunteer, I get to know them and to know these volunteers is to know heartache. I so want to help them work through their grief, but my first loyalty is to the clients at hand. And they need volunteers who are sound, mostly healed, or at least healed enough to put aside their own lives. “I know. It still hurts and I trust your judgement.” Tears welled in her eyes. “I just need to help.” I could see the dam about to break but she quickly stuck another emotional patch on the crack that threatened to burst. What a burden to trust me, I thought selfishly. I’m fallible, running on instinct and gut. I want to be wrong about you, to just let you come in and get whole again. Here’s where volunteer management is on a whole other level from standard HR. Just like HR, we have jobs to fill and we head hunt for the best people for the job. But we don’t reject people. We don’t pick and choose. We try to find a place for everyone, and it takes hard work to find places for everyone. I will find a place for Judy. We will start small and away from the clients. I want to see her succeed as a volunteer and to mend her deep wounds. It will take time, observation, mentoring and caution. That’s what I signed up to do. But first, I will do no harm, not to Judy and not to our clients. What a beautiful, wise and sensitive piece! Thank you! Thank you Katherine. No matter how crazy or impossible the day seems, I am always humbled, inspired and returned to my reason to be by the volunteers. They bring the essence of all we aspire to be. They have taught me, delighted me, surprised me and shook me to the core. What a wonderful world to be in. And thank you for all you do as a hospice volunteer. Thank you. Recently I have doubted myself in decisions and trusting my ‘gut’. I too have been in your situation and wanted to help, but felt that the fit wasn’t right. Your article touched a nerve with me and I thank you for your perspective. A very insightful piece, thank you for sharing it. I’ll be keeping your words of wisdom in mind when working with some of my volunteers. When I was hiring people for paid positions I found the interview process unsatisfactory. No matter how questions were couched the focus remained on the best fit of skills and experience and much less on personal qualities. Job applicants present themselves for the position. Volunteers put up their hands because the organisation is the best fit for their personal interests. So as managers of volunteers we spend interview time getting to know the person, getting them to learn more about the organisation, assessing where the personal qualities and skills might fit best. Thank you for describing this process so well, Meridian. 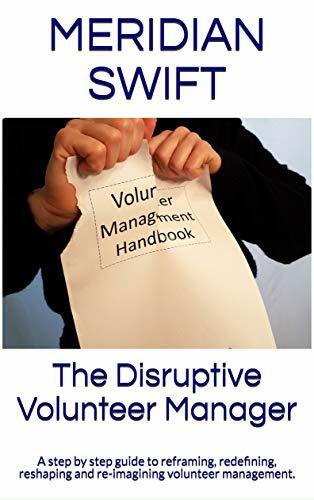 You have demonstrated the art of an experienced manager of volunteers and how engaging a volunteer is not a straightforward slotting a peg into a chequer board, no matter how much they want to support the organisation. The ethic of beneficence, of doing no harm, also means we are not an open market for all comers: there will be occasions when we are unable to match volunteer interests with organisation needs. 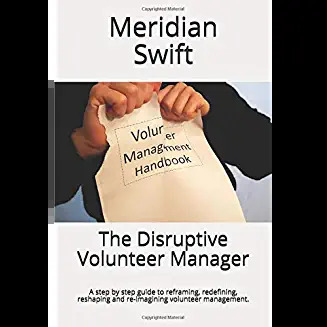 VM: recruit +interview(regarding skills for job + personal desires, needs and abilities) + candidates – small percentage deemed not fit = jobs filled + jobs created + waiting lists + on-call volunteers + more volunteer management. Or, as Sue boiled it down so beautifully, companies choose employees, volunteers choose us. I think the unsung talent of VM is the ability and desire to fit almost everyone into the organization. Kudos to all of you who take this part of your job seriously and execute it with sincerity and compassion. I too, have had this experience and had to suggest another avenue for volunteering with our agency until the person had completed their grieving to my(and the team’s) satisfaction. If you consider what is in the best interest of your clients, you are doing the right thing for everyone involved.